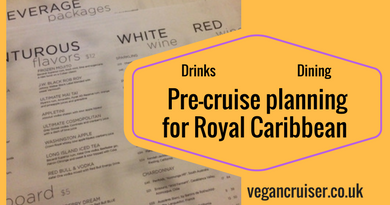 Royal Caribbean ships are so exciting, innovative and full of facilities that many others do not offer. 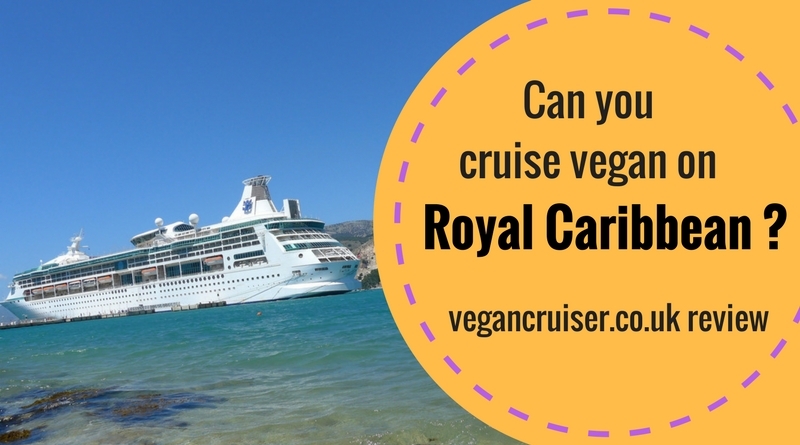 But can you cruise vegan with Royal Caribbean? 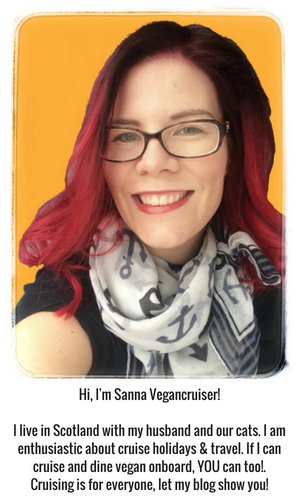 How were my dining options? Do have a look! 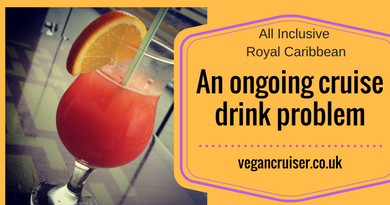 Check out this popular Greek destination island of Mykonos with me – a glamorous party island at night, daytime a picturesque cruise port. Get lost in its quirky winding alleyways and enjoy the views as I navigate the maze. Something different for your excursion from Piraeus port? 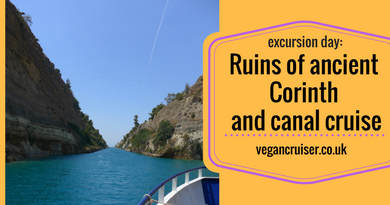 Instead of the nearby Greek capital city of Athens, we headed out to ancient Corinth & Corinth canal for another, smaller, cruise. 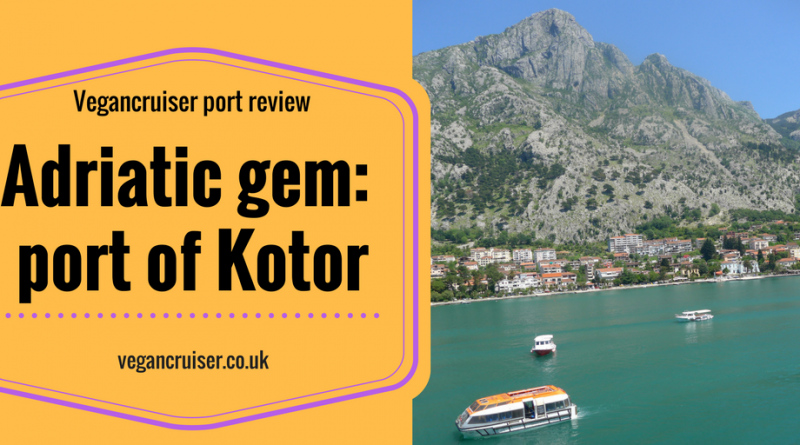 Adriatic medieval gem for cat ladies – port of Kotor! 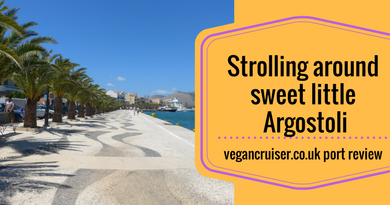 Find out why you should not miss the stunning Adriatic cruise port of Kotor in Montenegro. 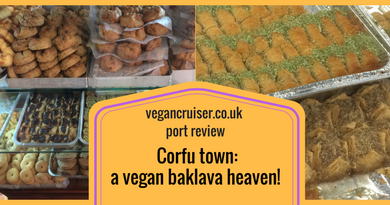 I have been longing to get back ever since.. and this review should show you exactly why!